business from 1979 to 1986. During that period, she established and operated a retail store in Cashiers, North Carolina. After her husband’s death in 1985, she returned to the financial service industry, starting a practice in Atlanta. Soon she was also making quarterly visits to Florida, servicing many of her original clients. In 1994, she became a Certified Financial Planner®. Barbara is knowledgeable in all aspects of financial planning and maintains a high level of expertise in the area of Estate Planning. She attends the yearly Heckerling Institute on Estate Planning sponsored by the University of Miami’s School of Law. 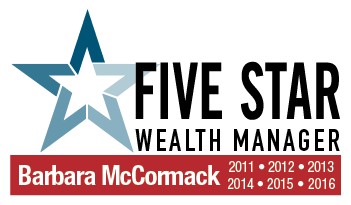 Barbara spends her time working with her clients in her role as Principal of McCormack Financial Planning. She is responsible for the overall management and direction of the 26-year-old firm. In 2011, she was selected to be part of a group of less than 7% of licensed wealth managers in the Atlanta area, receiving the Five Star Wealth Manager award. This award focuses on 9 criteria: customer service, integrity, knowledge/expertise, communication, value for fee charged, meeting of financial objectives, post-sale service, quality of recommendations and overall satisfaction. 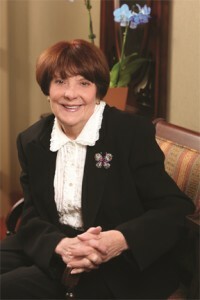 Through her service, trust and integrity in working with her clients, Barbara has become a role model for her peers.